George S. Taliadouros, M.D. is the founder and director of the Delaware Valley Institute of Fertility & Genetics (DVIF&G), with offices in Marlton, Vineland, and Lawrenceville. He is an assistant clinical professor at the University of Medicine and Dentistry of New Jersey—Robert Wood Johnson University Hospital. An expert in reproductive medicine, Dr. Taliadouros pioneered the use of advanced reproductive technologies in the South Jersey area. 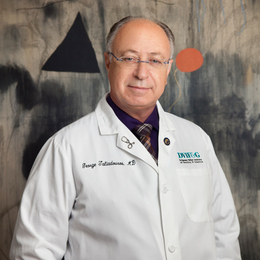 Before coming to New Jersey in 1988, Dr. Taliadouros held research and clinical fellowships in reproductive medicine at the National Institutes of Health and Case Western Reserve University. He is actively engaged in innovating research and is the author of several scientific articles on reproductive endocrinology. The success that his patients have experienced is the result of the balance between the latest effective technological advances and an individual detailed analysis of the couple’s needs.